Description: As England enters World War II’s dark early days, spirited music professor Primrose Trent, recently arrived to the village of Chilbury, emboldens the women of the town to defy the Vicar’s stuffy edict to shutter the church’s choir in the absence of men and instead “carry on singing.” Resurrecting themselves as “The Chilbury Ladies’ Choir,” the women of this small village soon use their joint song to lift up themselves, and the community, as the war tears through their lives. My take: My thanks to the Library Thing Early Reviewers program and Crown for the review copy. The Chilbury Ladies’ Choir is a warm and touching novel about life in a village in Kent during 1940. The war is in full-swing and most able-bodied men are away, involved in the fight. When the Vicar sees fit to disband the choir because there are no male voices, the women beg to differ in their opinion. Under the leadership of a confident director, the ladies of Chilbury meet to practice their songs and, at the same time, become a source of support to each other that will be invaluable in the days ahead. 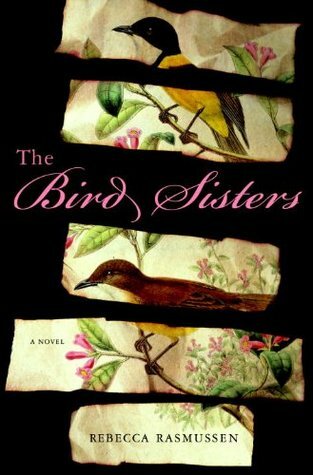 Jennifer Ryan’s novel will probably land on my favorites list this year. Told through letters, diary entries, newspaper items, etc. the story of Chilbury unfolded seamlessly. The drama, humor, fear and sadness were palpable when shared by various characters’ perspectives. When I finished reading I immediately thought ‘there’s more story to be told here’ as only a few months in 1940 were covered. I’d love a series! This is Ryan’s debut novel and I look forward to reading more from her in the future. Recommended to fans of historical fiction. Note: I also used an Audible credit for the book. It’s a wonderful audio production. All treadmill exercise this week. I keep meaning to add some resistance training but somehow never get around to it. Maybe next week… In addition to finishing The Martian I also completed One Wish and Hearth Stone. Synopsis: Six days ago, astronaut Mark Watney became one of the first men to walk on the surface of Mars. Now, he’s sure he’ll be the first man to die there. My brief take: I read/listened via whisper sync (Kindle/Audible). RC Bray’s narration is perfect and made the book almost unputdownable (yep, I used that word). I was totally out of my reading comfort zone when I picked up this book and now I’d recommend it to anyone. At the end, when certain characters were pacing, I was up and pacing with them. 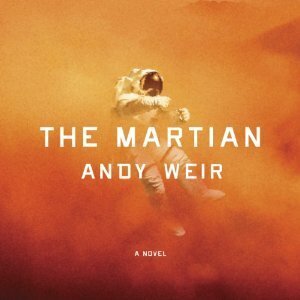 The Martian is interesting, funny, thrilling and a great read. That’s all I’m going to say. Except, if you haven’t read it put it on your list! It’s no surprise The Martian was voted Best Science Fiction book in the 2014 Goodreads Choice Awards. It was also a 2014 Audie Award Finalist, Science Fiction. Highly recommended. Note: At the end of the book (but not the audiobook) there’s a Reader’s Guide and an Author Q&A. My Kindle edition also has an essay by Andy Weir: How Science made Me a Writer. Not sure if that’s in the paper edition. Anyone? 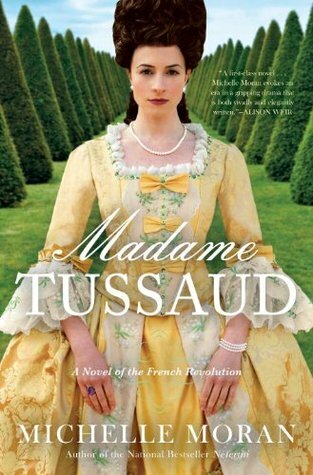 About: (Goodreads synopsis) In this deft historical novel, Madame Tussaud (1761-1850) escapes the pages of trivia quizzes to become a real person far more arresting than even her waxwork sculptures. Who among us knew, for instance, that she moved freely through the royal court of Louis XVI, only to become a prisoner of the Reign of Terror? My thoughts: Michelle Moran brings to life a familiar character while examining her place in history. I learned things I’d either forgotten or never knew about the French Revolution. Madame Tussaud and her family chronicled with wax models the royals and political figures of France in the time leading up to the revolution and beyond. It was not unusual for Robespierre and other revolutionaries to sit at their table for dinner and discussion. They also hosted private showings for the Royal family and other dignitaries. The common people of Paris who could afford the fee relied on the gallery to depict recent events and to always be of the moment. Because of her dedication to her profession Madame Tussaud had very little private time. She even tutored the sister of the King in wax modeling. As the Revolution turned into a bloodbath Marie was called upon to make death masks of beheaded Royals and royalists. She complied until the day she refused to make the mask of a friend. That sealed her fate as well as her mother’s. The story doesn’t end there but I don’t want to spoil it for other readers. Michelle Moran’s gift for storytelling and detailed descriptions put me in the opulent halls at Versailles, the workroom at the Salon de Cire (the gallery), and in the middle of the crowd watching the executions-by-guillotine in the Place de la Révolution. After reading Madame Tussaud I have a better understanding of this turbulent time in French history as well as an appreciation of one remarkable woman who is now much more than a trivia answer. Recommend? Yes, if you like historical fiction I think you’ll like Madame Tussaud – it was a page-turner!